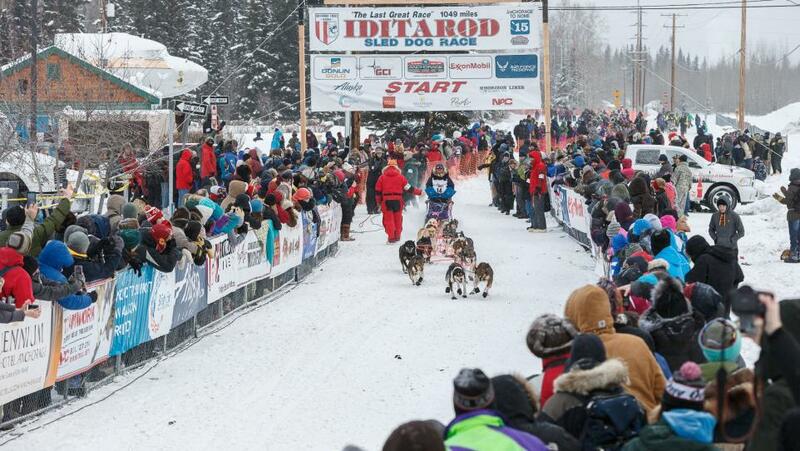 Welcome Iditarod 2017 to Fairbanks! Race details: The race will start at 11 a.m. Monday, March 6, on Hoselton Road near Pike’s Waterfront Lodge. 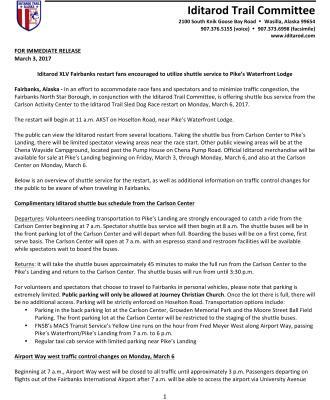 Free shuttle buses will run from 7 a.m. to 3:30 p.m. between the Carlson Center and the Pike’s Landing/Pike’s Waterfront Lodge area. Shuttle parking is available at the Carlson Center back parking lot, Growden Park and the Moore Street parking lot near Pioneer Park. 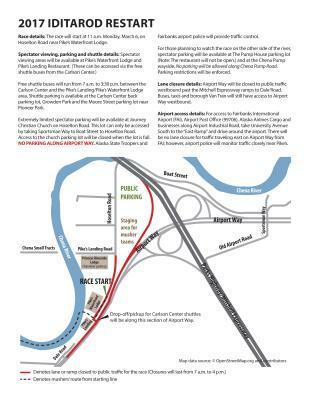 Lane closure details: Airport Way will be closed to public traffic westbound past the Mitchell Expressway ramps to Dale Road. 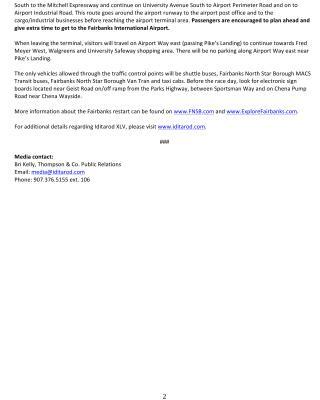 Buses, taxis and borough Van Tran will still have access to Airport Way westbound. Feel free to download the attached documents for spectator use, seen below.